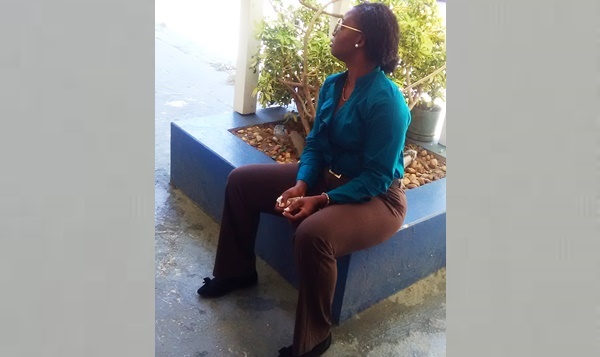 Senior Magistrate Tamia Richards remanded Nashae Foy to Her Majesty’s Prison last week Friday after the offender failed to give sufficient reason for beating another woman with a wooden object in the head, ribs, and other areas of the body. “[I did it] out of frustration. I didn’t really care at the moment,” Foy told the Magistrate’s Court after she pleaded guilty to assault occasioning actual bodily harm. But the no-nonsense senior magistrate said ‘frustration’ doesn’t give the 23-year-old offender any right to beat anyone in that manner. The magistrate added that, if a man had committed the offence, she would have remanded him. Hence, she did not intend to be gender bias. “Because we wear a skirt does not mean we should not [be held accountable],” said Senior Magistrate Richards. Foy will be brought back to court on February 16 to be sentenced. She claimed that she did not hit the complainant first. But the court heard that she was the one who went looking for trouble on the day in question. The prosecution alleged that, on May 11 last year, the complainant Shareema Stevens was driving with a friend in the Greenland area. At some point, the complainant noticed that she and her friend were being followed by another vehicle. As a result, she pulled over. The driver of the other vehicle also pulled over. The complainant noticed that the pursuing vehicle looked familiar, and so she exited her vehicle. At that point, Foy was identified as the person following the complainant. Foy reportedly exited her vehicle with what appeared to be a bat, and then approached the complainant. The court heard that that the complainant grabbed the wooden object, and tried to reason with Foy. However, Foy allegedly pulled the bat away and struck the complainant in the head, right arm, beneath her left eye, and in the area of her left ribs. The complainant had to seek medical attention. Meanwhile, a report was made to police, who then met Foy at the East End Police Station.